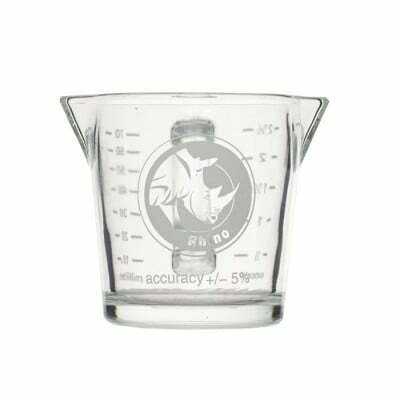 Just the thing to top off your espresso setup, Rhino Coffee Gear's shot pitcher is the perfect width for double-spouted portafilters. 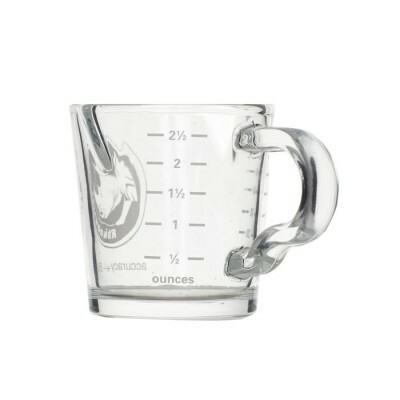 Each shot pitcher holds 3 ounces and has measurement lines for both ounces and milliliters. Dishwasher-safe. 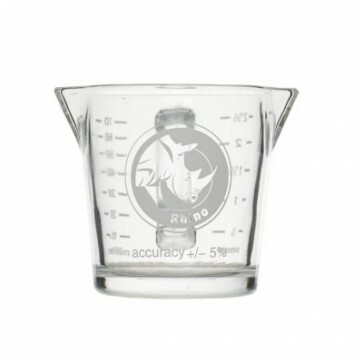 This Rhino Coffee Gear shot pitcher is functionally identical to the Rattlewares shot pitcher.